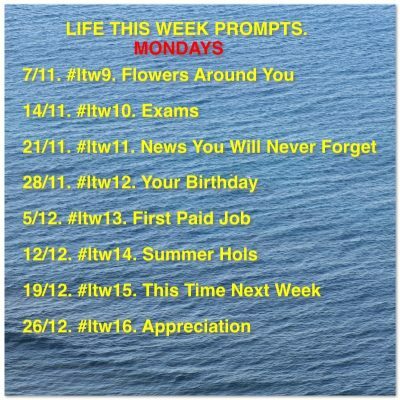 8 More Prompts "Life This Week". 366/297. I’ve already started working on tomorrow’s prompt and it fits in nicely with something Leanne from Deep Fried Fruit posted a day or two ago! Oh that sounds cool! Look forward to reading it. Cheers! OMG 2 weeks to Christmas Eve…seriously? When did that happen? I sure do! Great way to start the week. I love Monday’s (next to Sunday it’s my favourite day of the week). So having your linky just makes it that much better. I will miss my Sunday linky … I think I might continue the Lovin’ Life theme of a Sunday but just in hashtagging Instagram photos or my Instagram Story instead. Thanks Leanne! I am glad you are continuing to link up here too now you’ve changed your own linky. I will be continuing to join you but on the Sunday for this year. I have made the decision to blog on fewer days in 2017 as the purpose of my “every day I blog” has run its course and I am doing more in terms of personal reflective writing and art in 2017. Christmas is coming way too quick!!! 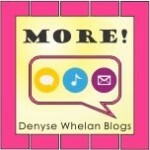 I have been quiet on my blog at the moment, getting back into it and hopefully going to be back linking! I hope you do but when you are busy you have to get on with what is priority at the time. Thanks for joining in the convo! So excited about this week’s prompt. Hope I can get my post finished in time. I do like the topics for the next couple of months! Ideas are coming already. Thanks again for giving some purpose to my writing and for encouraging me to write that little bit beyond my everyday kind of stuff.